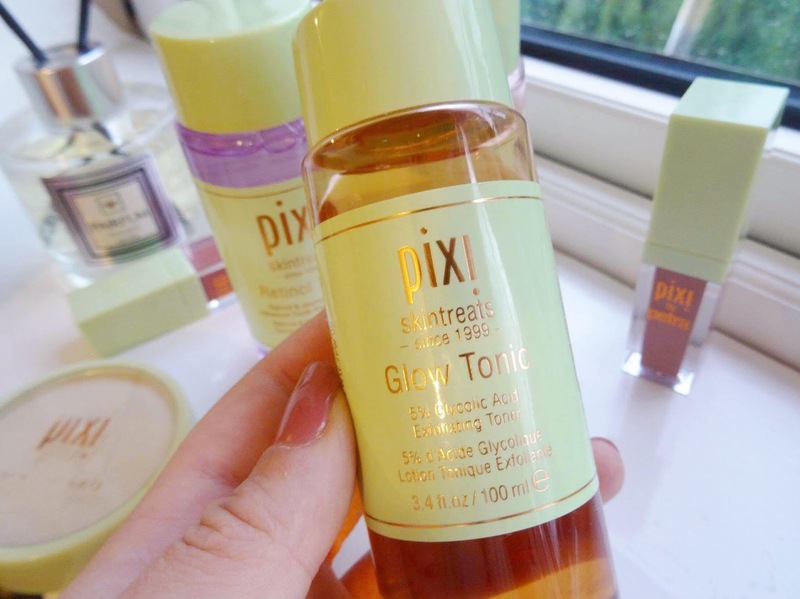 Back in July Pixi launched a new tonic to their toning collection, the retinol tonic. This alongside the rose tonic that released at the beginning of the year and the glow tonic which has been around for what feels like a lifetime now, are the other members of the family. 'Advanced youth preserving toner', as soon as I read that I handed it over to my mother as I knew that this wouldn't be something that would benefit me. This tonic contains time-releasing retinol which aids in the rejuvenation of the skin as well as helping to reduce fine lines. Antioxidants and botanicals within the toner help with the replenishment and smoothing process of the skin. It's recommended that you use this tonic once a day. Mine and I'm pretty sure everyone else's favourite toner; the glow tonic! 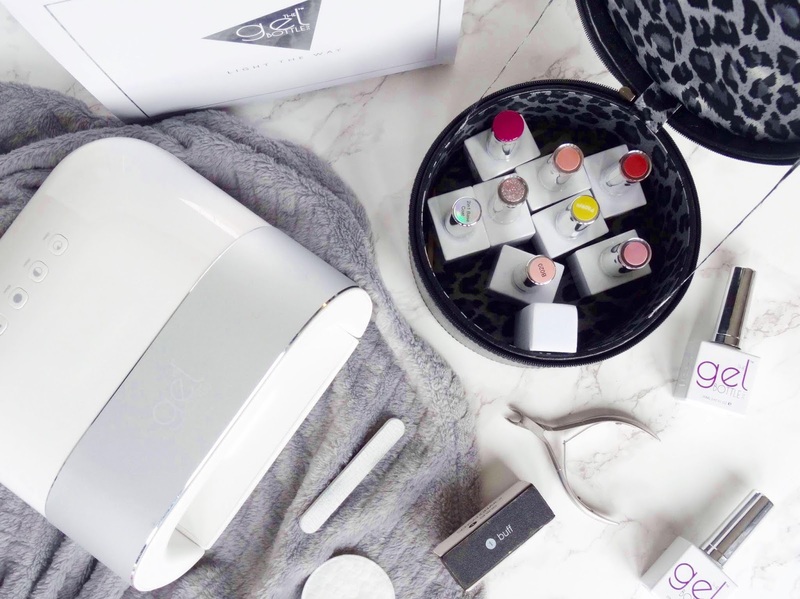 The glow tonic contains 5% glycolic acid which is a big selling point for the toner. Not only that, but the formula helps to even out your skin tone, giving it a light exfoliation leaving you with smoother and brighter skin. I tend to use this toner whenever my skin is on the oiler side, if I've got any spots and if I can notice any skin texture through my makeup. It works wonders on my skin without making it feel tight! I was unsure as to how I was going to get along with this tonic as rose scented products always leave a lasting scent throughout the day, but I was pleasantly surprised by it. This is the more 'basic' toner out of the three but it's brilliant for every day, am and pm use. Thanks to its gentle rose hydrosol properties this one works well for calming redness, smoothing and balancing the PH of the skin. If you've got sensitive skin then this is the one to opt for out of the three. My personal favourite has always been the glow tonic, ever since I first laid my hands on it. However, on days where my skin is a little sensitive to the blustery winds or my cheeks are like tomatoes then the rose tonic is always the one I reach for. 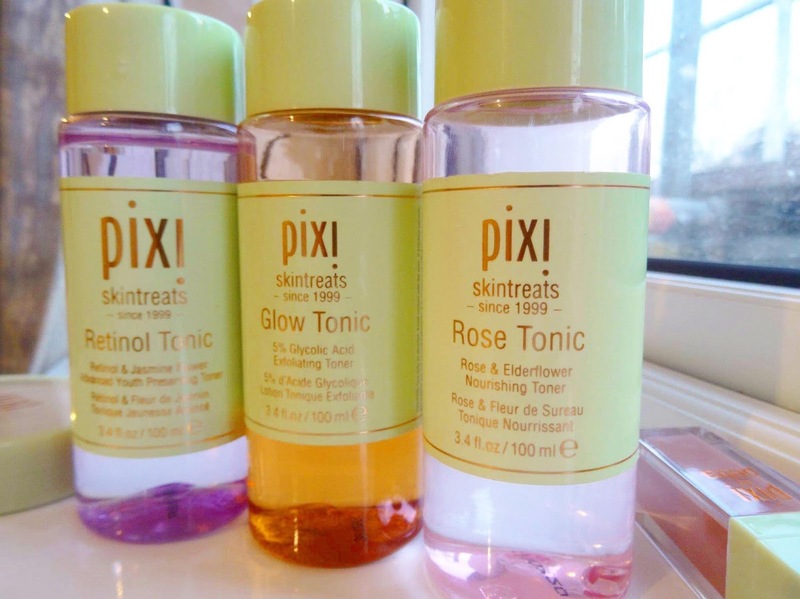 If you were wanting to try out all three tonics ASOS are doing a Pixi Exclusive Trio Set containing 100ml of each tonic at £20 which makes a saving of £10 - a bargain! What do you think of the three tonics that Pixi have in their collection? Have you tried any of these before or which one is your favourite? Thanks for reading.